I have a question about the edge fillet operation inside the BReps functions. While for simple surfaces I'm able to achieve the desired fillet using the first option (All edges), I have some problems to obtain the same result using the second one (Fillet between colored faces). In other words I don't understand how to use correctly the edge fillet operation by means of the option "Fillet between colored faces". To explain my question I attached a simple example; could someone explain me how to resolve this problem? Moreover, I would like to know if CAESES offers other options to quickly obtain general fillets between two given surfaces. Please find the attached the project where the fillet creation wrt colored faces is performed. Do not forget that in CAESES, colors can be assigned within BRep for each operation. You can find this example in the shipped version of CAESES (documentation browser => basics > general > breps). thank you very much for your kind reply that allowed me to better understand how to achieve fillet edge between two general surfaces. I have anoher question: using the BReps functions and the approach "Fillet between colored faces" is it possible to achieve fillet edges with not constant fillet radius (i.e. 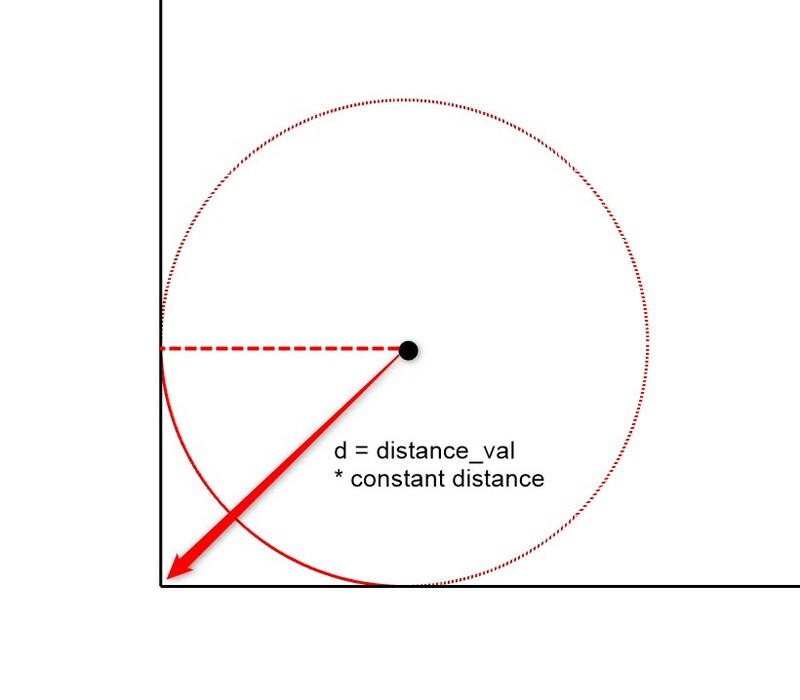 with a fillet radius that starts to zero and increase its value linearly)? I noted there is the possibility to manage this aspect changing the "Type" option in the "Filleting" panel (i.e. 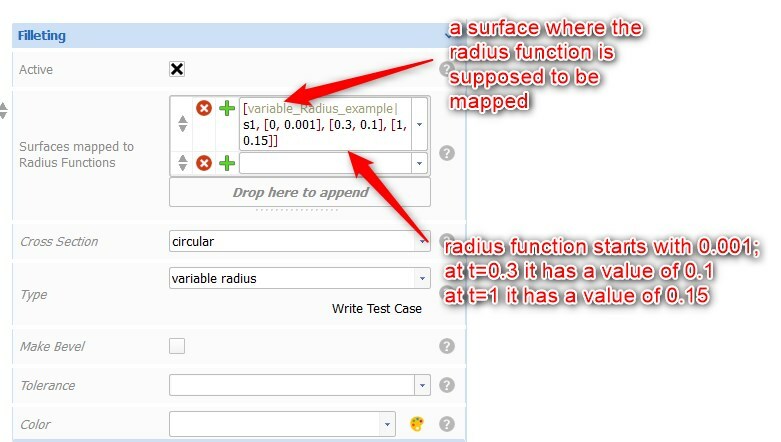 selecting "constant distance" or "variable radius" instead of "constant radius") but I don't understand how to use these two different approaches. 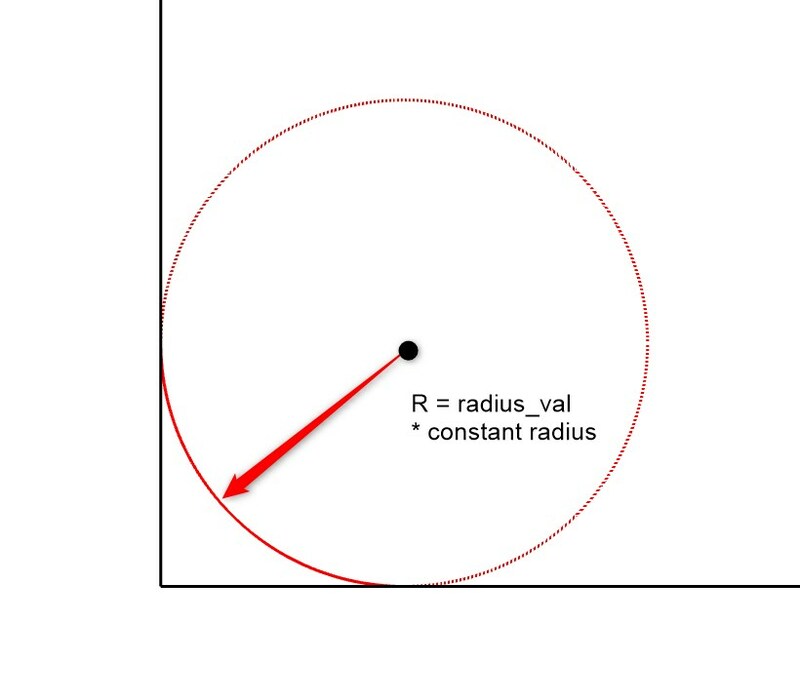 This might give you an idea about the concepts of constant radius and constant distance. For variable radius, Please check the attached project. One point to mention is that the variable radius filleting is still under development.